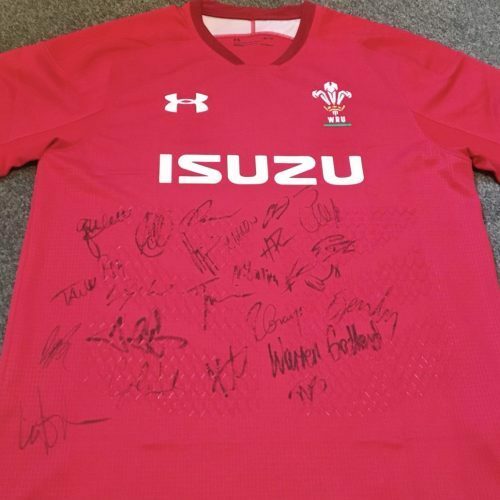 From now until midnight on the 30th of November, Kicking Off Against Cancer is proudly running an online auction for a signed Wales Rugby shirt. As you can see from the picture, it is signed by members of the current squad and coaching staff. The format is simple. Make your bid, and we’ll be in touch to let you know if you are successful or not.